Earlier this week Apple announced the official first day of what could be the next major electronics revolution: April 3, 2010. That is when the Wi-Fi version of their much anticipated iPad (also known as: “the iPad for people too impatient to wait for the more sensible 3G configuration”) is slated for release. The 3G compatible version will arrive later in April. The Wi-Fi iPad will start at for $499 for the bare bones device with smallest hard drive capacity (16GB). 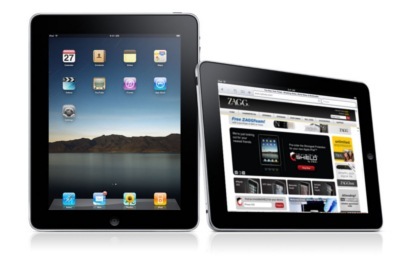 The Wi-Fi + 3G iPad with the largest hard drive (64GB) will run $829. All other combinations will fall somewhere in-between. Apple will begin pre-selling on their website starting March 12 for U.S. customers (sorry international fans), and questions have already been raised about how many devices they will be able to deliver at launch. It could be a critically uncomfortable first few days for the lords of technology in Cupertino, California. The revised release date is a few days past their original announced target, and some industry observers are speculating that Apple will still need some luck to reach the new goal. However, that did not seem to scare investors, who sent the stock up significantly on the heels of the revision. The sunny news about Apple’s next major gadget could have only added to the current scrambling from rival manufacturers. The market might see as many as 50 competing products worldwide this year according to ARM, a mobile microprocessor company. 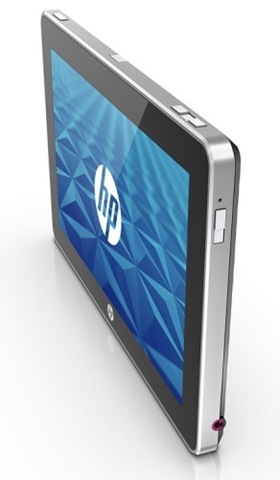 Among the major players and devices are the HP Slate (once a rumored name for the iPad), the dual screen Microsoft Courier, and the tentatively-titled Dell Mini 5. HP is already positioning their Slate against the iPad by advertising the device’s Flash capability, the lack of which has been an early criticism of the Apple device. The iPad OS is also reported to not allow multi-tasking or running multiple programs simultaneously, which makes that a likely competitive target for other manufacturers. Based on early reports, Apple’s vision for mobile computing seems to be more simplistic from traditional tablets, and it will remain to be seen whether that style can catch on. However, tablet PCs have not been popular in the past, in part because of their clunky operating systems and input methods. It could be that Apple will do for the tablet what the iPhone did for the mobile phone, which was essentially give the entire industry a different perspective to follow and emulate. Given their track record and popularity with the cool crowds, it is probably best to not bet against Apple. With anticipation beginning to reach critical mass, the iPad seems positioned for either absolute success or absolute failure, without middle ground. If the iPad takes a critical beating and is not overwhelmingly popular with Apple Fanboys/Fangirls (like the underwhelming release of the Apple TV in 2007), it could spell trouble with the shareholders. Notes from the Duckburg Geographical Society or, Is It Ever Too Late For a Trip Report?